Higher Learning for Your Dog! The only dog obedience training program your dog will ever need! 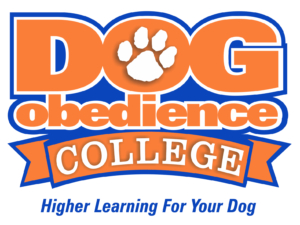 The idea of the Dog Obedience College is for this to be the only obedience training course your dog will ever need. Once your dog has successfully completed the program The Lifetime Dog Training Guarantee entitles you to free obedience training refreshers and training support for the life of your dog. Some terms and conditions do apply. For example, if for some reason your dog starts to fall back into old habits, like pulling on the leash, then you can contact Dog Obedience College and schedule a free refresher or follow up. During the appointment a Certified Dog Trainer will figure out what’s causing the issue and work with you to get your dog back on track. Contact a Dog Trainer Today! 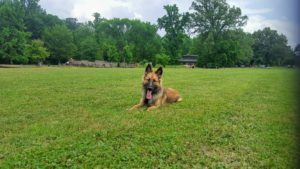 For more information or to enroll your dog please get in touch with a dog trainer by filling out the Contact Form, emailing info@DogObedienceCollege.com, or calling / texting 901-310-5826.